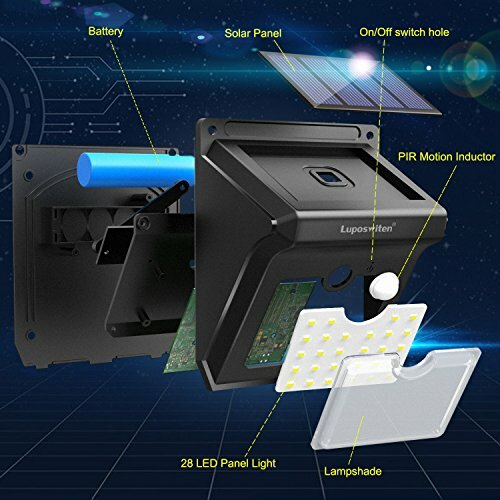 【Higher Brightness & Larger Lighting Range】 There are 28 powerful LEDs and can produce 400 lumens. More lumens means it is a brighter light. 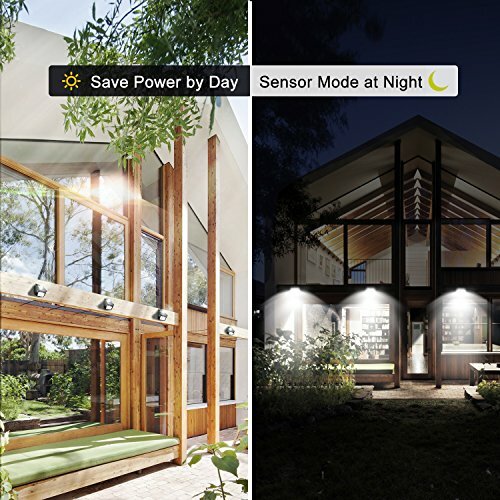 Say goodbye to darkness in the evening and costly electricity bills. 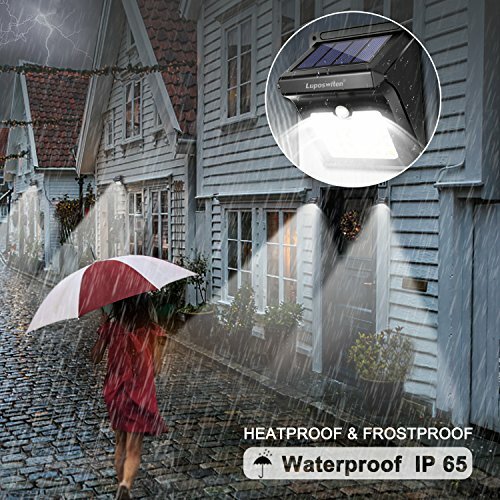 【Quality Long Lasting】 This solar outdoor lights is designed with heatproof and waterproof IP65. It will survive heat, rain, cold, and frost. Its lifespan amounts to 5,000 hours, much longer than any ordinary lamp. 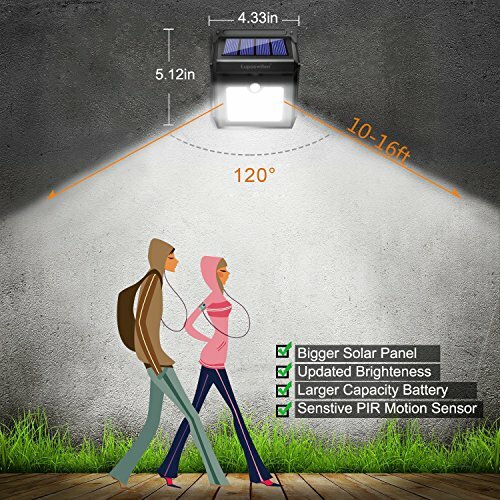 【Automatic Switch on/off & Large Sensing Zone】 The solar motion lights will be activated once it detects any motion, and will automatically turn off after lighting on around 30 seconds. The motion sensor can detect movement up to 16 feet at a 120 degree angle. NO DIM MODE. Only Two Modes: ON/OFF. 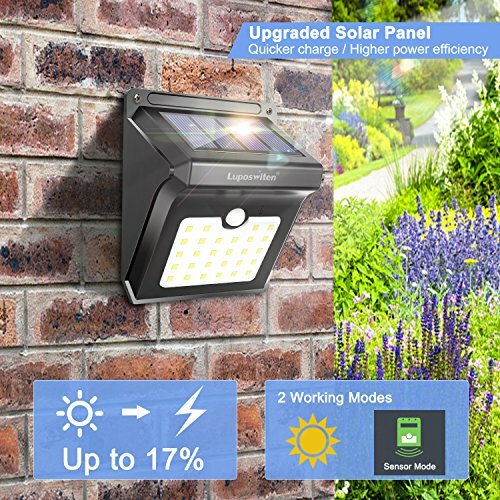 【Easy to use & Convenient】 This solar powered lights require ZERO maintenance and easy to install as they do not require wiring cables. 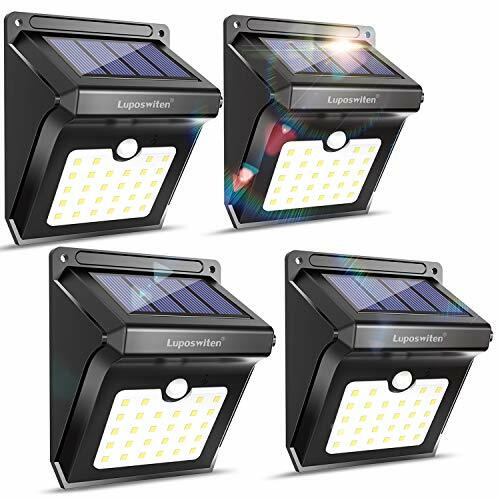 It can be used in areas where there is no electrical supply, perfect outside lights for driveway, fence, RV, patio. 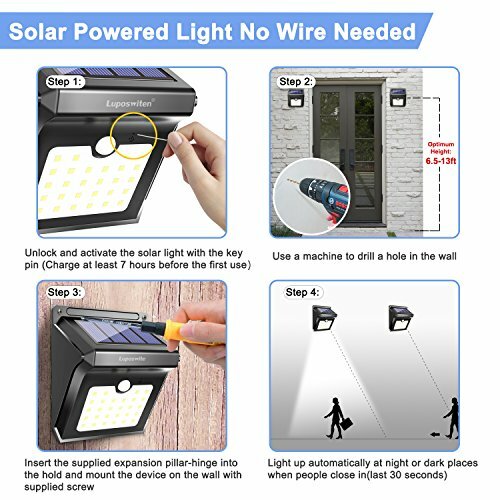 【100% Satisfaction Guarantee】 This solar LED light has passed the FCC certification and UL test. We promise a 30-Day Money Back Guarantee and a 90-Day Limited Product Warranty.